IT security threats are a major concern in today’s world. Everyday attacks and their consequences are discovered on a daily basis, whether in terms of personal data breaches affecting individuals or the leakage of sensitive information inside companies and administrations. reinforces this industrial ecosystem and offers support for exportation through its participation in international trade fairs and prospecting missions and related services. 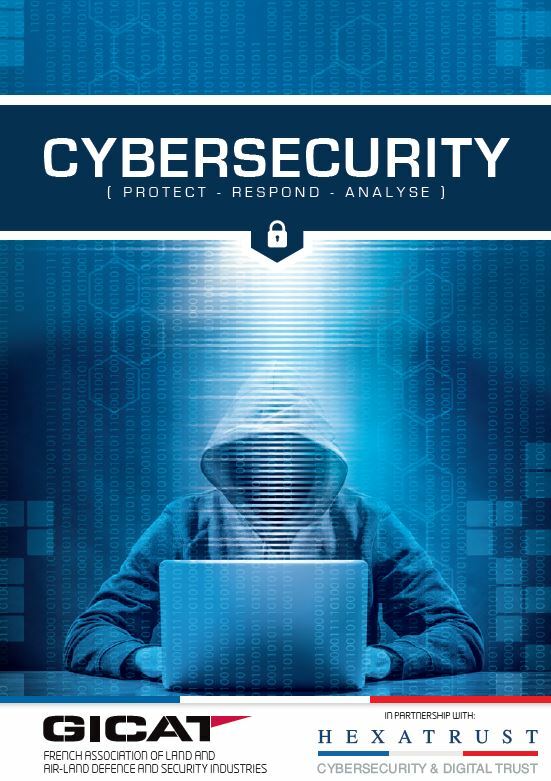 This Cybersecurity Capabilities brochure presents a network of French companies seeking to develop their international business. They are all recognised for their know-how and ability to innovate in the fields of Information Security Systems, Digital Trust and Cybersecurity. Some have received the FRANCE CYBERSECURITY LABEL, which represents an added guarantee of security and quality. Cybersecurity is one of the major priorities of the 21st century and an issue that reaches across borders in our highly connected world. Some 15 billion objects are now connected, and this will reach 50 billion by 2020. Cybersecurity is an extremely vast field. It concerns governance sectors (defence, national security, and public administrations), vital infrastructures (energy, transport, health care, etc. ), the private sector (industries, banks, businesses, services, etc.) and the population at large. This threat can put any entity at risk, regardless of its sector, size or activity. It is a constant and diffuse threat that can come in many forms: obfuscation, theft, monitoring, abuse and usurpation of rights, data corruption, etc. Industrial systems that are interconnected with networks are particularly vulnerable targets. At the global level, the financial stakes represent billions of euros.